NetAcquire MissionView™ provides easy point-and-click configuration, real-time data display, and control for any NetAcquire system. MissionView Designer lets you quickly create highly-configurable and sophisticated graphic displays that leverage a large predefined library of different real-time charts, meters, gauges, and more. 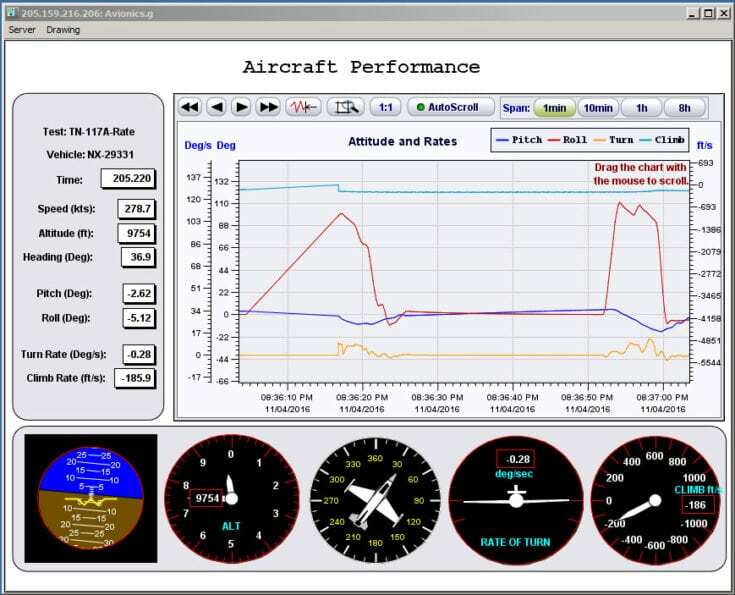 MissionView Display conveniently connects to any NetAcquire server to display real-time measurement and telemetry data. 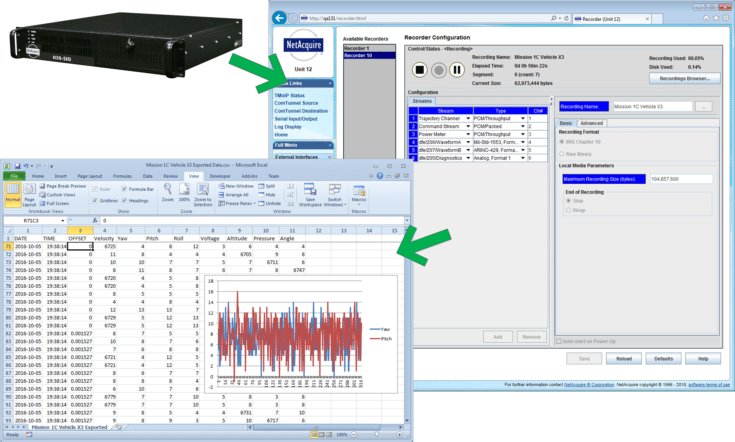 MissionView supports all the configuration and management functions of a NetAcquire server, including advanced decommutation, real-time processing and derived measurands, engineering unit conversion, and recording/playback.